Couldn’t help myself when saw that this week photo challenge is close up, fits in with day out I had yesterday, my partner took close up pics of me, crazy eyes and all, haha. 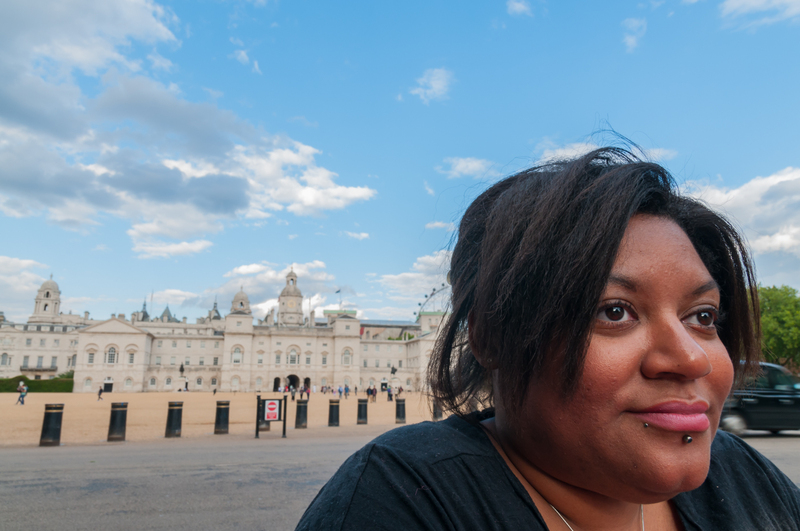 First picture of me is at Horse Guards Parade in the background capturing London, with London Eye poking in the back, black taxi zooming pass. Then next pic me on train going home, some may recognise what train if you from the South. More to come about my day out soon, as finished my birthday week just nicely.